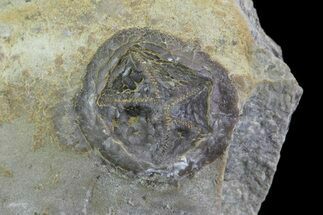 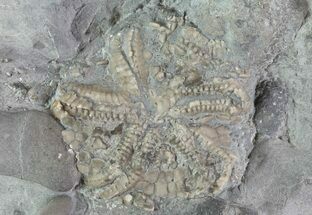 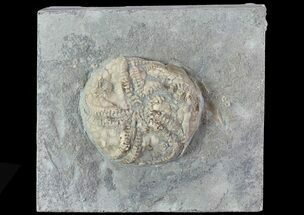 This is a 1.25" wide, Ordovician aged brittlestar of the genus Petraster that's associated with multiple Edrioasteroid fossils of the species Spinadiscus lefebvrei. 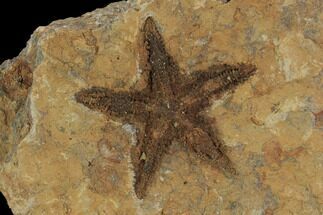 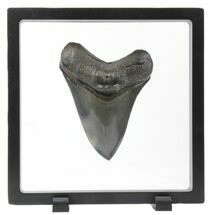 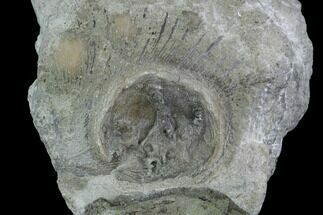 It comes from the Kataoua Formation near Blekus, Morocco. 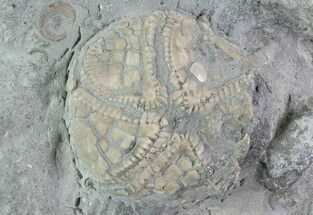 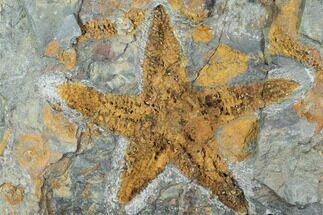 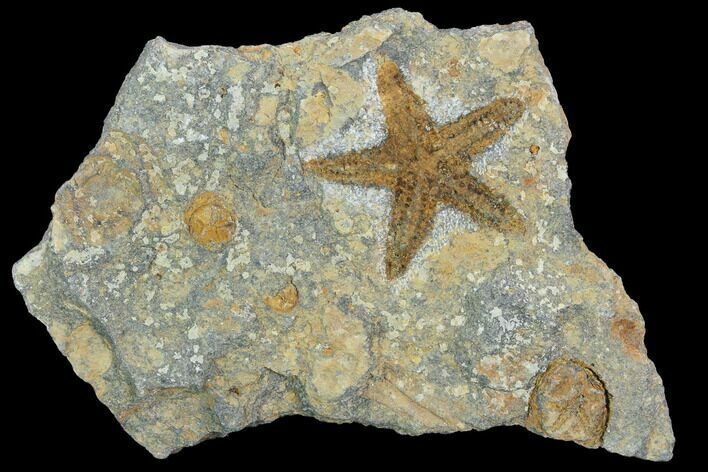 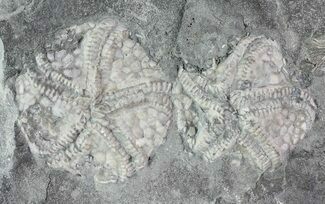 Edrioasteroids are an extinct class of echinoderms that lived from the Ediacaran until the Permian, about 300 million years ago. 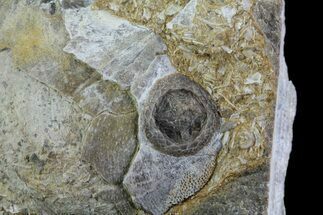 The living animal would have resembled a pentamerously symmetrical disc or cushion.